Looking for some creative and engaging May or June Activities? This is a Print & GO Activity. Students complete each page. Start with labeling favorite moments on the toppings. 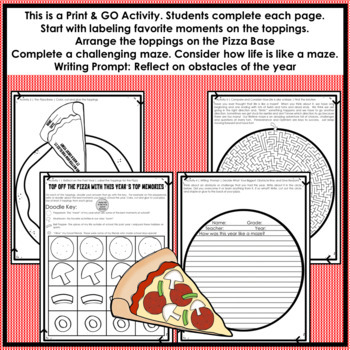 Arrange the toppings on the pizza base, complete a challenging maze, consider how life is like a maze, reflect on obstacles of the year and write about them. This is a fun way to have your students remember all the "TOP" events at school. 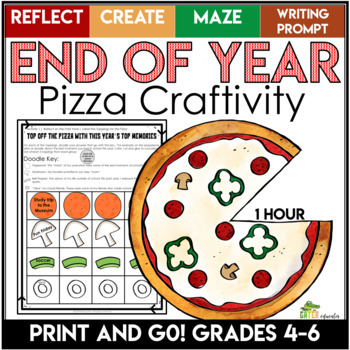 This craftivity makes a great keepsake or End of the Year Bulletin Board display. 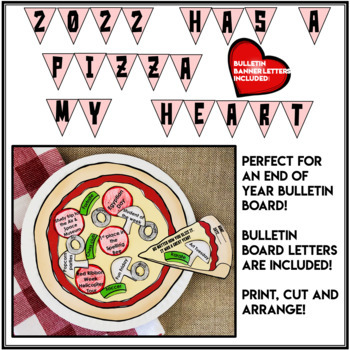 Bulletin Board letters are included! Take a look at the PREVIEW for more details! Check out more END of the YEAR Activities HERE! Don't forget that leaving feedback earns you points toward FREE TPT purchases. I love positive feedback! TPT teacher authors appreciate you taking time out to provide some detail about how you like or how you used their products. If you are dissatisfied for any reason, please offer me the chance to tweak or make corrections to the product before leaving a negative review. To do this, simply send me an email so that I have a chance to make sure your expectations are met.